Everything you need to know to have vacation-caliber fun on a hanging-around-town budget. 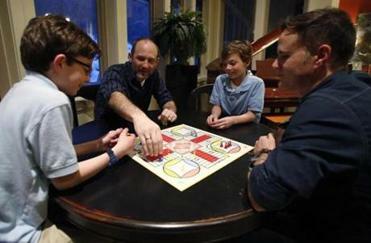 February break is a popular time for families to travel. But if packing up — and shelling out — just doesn’t appeal to you this year, we’ve got your A to Z guide to surviving a school vacation staycation in Boston. You certainly wouldn’t want to spend your whole staycation in your house. But why not take a tour of someone else’s? The Victorian Preservation Association (vpa.org/museumsma.html) maintains lists of house museums, and the Trustees of Reservations (thetrustees.org) and Historic New England (historicnewengland.org) both have even more homes open to the public. 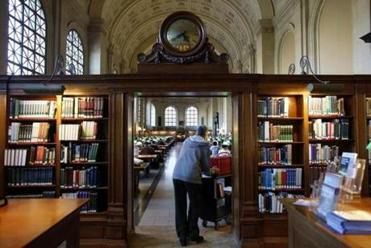 The big, sprawling university “town” of Greater Boston offers a bevy of bookish entertainments. The Boston Public Library (pictured) is throwing a free Presidents’ Day birthday party for kids on February 18 from 3:30 to 4:30 p.m. in the Rey Children’s Room (700 Boylston Street, Boston, 617-536-5400, bpl.org). Two days later, at 7 p.m., Trident Booksellers and Cafe will screen F Is for Franco, a film examining the life and work of actor and director James Franco (338 Newbury Street, Boston, 617-267-8688, tridentbookscafe.com). To make it feel more like a vacation, consider skipping cooking a few times during your staycation. Yes, you can go out or get takeout. But for a no-sweat meal at home, use Kitchensurfing (kitchensurfing.com/boston) to book a private chef. You can plug in a date, number of diners, and budget to see who’s available, or you can browse chefs by sample menus, including some offered by the folks behind the Roxy’s Grilled Cheese food truck. There are almost 60 chefs on the site, charging a wide range of hourly fees. Plenty of destinations will get you out and about in New England and back to your own bed by nightfall. Why not make a special trip for a great meal? Sample seasonal fare at Fore Street in Portland, Maine. Even the simple dishes like chicken turn-spit-roasted in the wood-fired oven will make you glad you made the journey, about 100 miles from downtown Boston (288 Fore Street, Portland, Maine, 207-775-2717, forestreet.biz). While you’re there, score tickets to see NBA D-League team the Maine Red Claws (nba.com/dleague/maine), where several current Celtics, including MarShon Brooks, Avery Bradley, and Vitor Faverani, have honed their skills and where the most you can pay for a ticket is $30 and end-zone seats go for just $6. 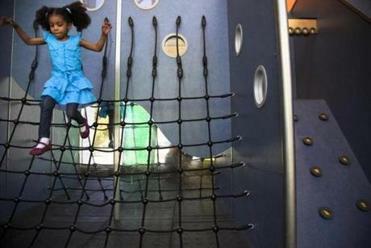 Parents know that when it’s too cold for much playground time, strolling the mall can keep kids — and grown-ups — from getting cabin fever. If you just can’t face your local shopping center one more time, you can save on gas and avoid a notoriously confusing parking garage by taking the commuter rail to the Providence Place Mall (One Providence Place, 401-270-1000, providenceplace.com). Providence is about an hour from South Station, and the mall is a few minutes’ walk from the Providence PVD stop; there’s a movie theater and upscale shops, plus a wide variety of food and great city views from the third floor. 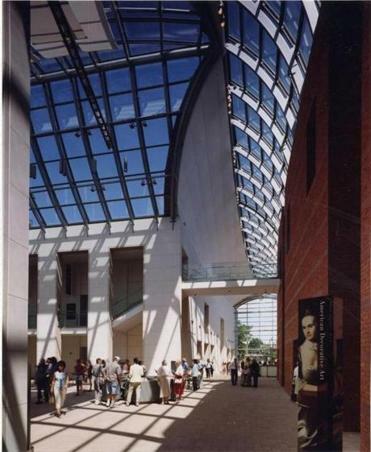 Hartford’s Wadsworth Atheneum (600 Main Street, Hartford, 860-278-2670, thewadsworth.org) is the oldest public art museum in America. Its collection includes works by Caravaggio, Dali, Magritte, Monet, Picasso, Renoir, and van Gogh, just to name a few. It has so many notable pieces, in fact, that docents offer “Highlights Tours” from 1 to 2 p.m. every Wednesday through Sunday. 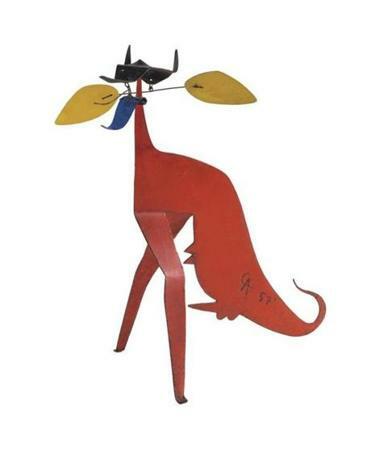 Pictured, Calder sculpture by Wadsworth Atheneum. While you’re out and about, you might want to check out a few of the Commonwealth’s more colorful roadside attractions. 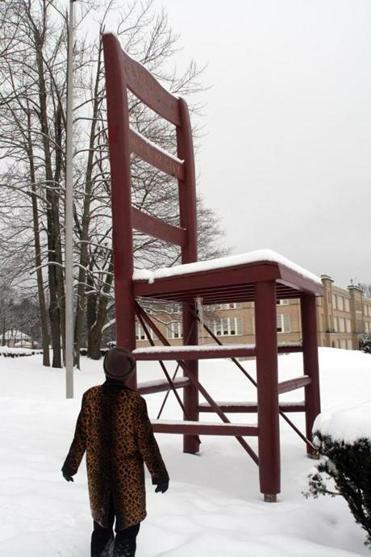 There’s a 20-foot-tall chair on the lawn of 130 Elm Street in Gardner (pictured), the self-proclaimed Chair City of the World. And a giant lobster trap in Gloucester. Doug Kirby, cofounder of Roadside America (roadsideamerica.com), a guide to eccentric destinations, notes that Boston itself “offers more historical quirkiness than most cities.” These include the Warren Anatomical Museum (10 Shattuck Street, Boston, 617-432-6196, countway.harvard.edu/warren), where you can see the skull of Phineas Gage, who made medical history when he survived an explosion that drove a 13-pound railroad tamping iron completely through his head. Why leave the bargains to the tourists? If your local library’s free museum passes are all booked up (call or visit to ask), try one of the discount cards usually pitched to tourists. The nine-day Boston CityPASS (citypass.com/boston) includes admission to the New England Aquarium, Museum of Science, Skywalk Observatory, Museum of Fine Arts, or the Harvard Museum of Natural History, and the Old State House, all for $51 for adults and $36 for kids. The Go Boston Card (smartdestinations.com/boston; choose from one- or multi-day cards, $37 and up for kids, $55 and up for adults) buys unlimited admission to 52 attractions, including the Children’s Museum and Aquarium, plus discounts at stores, including Macy’s in Downtown Crossing (15 percent off) and bars like the Frost Ice Bar in Faneuil Hall ($2 off admission). Get this: The average American spends 58 minutes a day on a smartphone, according to one marketing company’s survey. So if you can shut yours off during a weeklong staycation, you’ll get nearly seven hours of extra time to bond with your family, indulge your interests, or just plain veg out. So shut yours off or, at the very least, set up an auto-reply for your work e-mail and stop checking Twitter every 5 minutes. Also, set limits on screen time for your kids. Hand out four 15-minute “coupons” at the beginning of the week, and make them turn theirs in before logging on. Need a no-stress escape? Book a night or two in a local hotel and enjoy amenities like pools, spas, gyms, in-room massages, and room service. This year, staycationers can also take advantage of Boston’s first ever Hotel Week (hotelweekboston.com). Between February 16 and 23, 20 area hotels will offer packages and 20 percent to 30 percent discounts on their regular best rates. Participating hotels include the Four Seasons, the Lenox, and the Liberty. 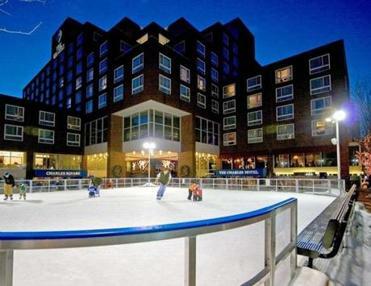 At The Charles Hotel in Cambridge (pictured), which has hosted Ben Affleck, the Clintons, and other big names, Hotel Week guests get a deluxe room, passes to ice-skate in the hotel’s outdoor rink, breakfast for two at Henrietta’s Table or in your room, and overnight parking for $219 a night. 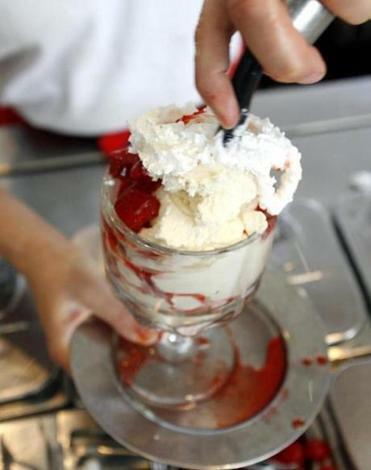 It’s too cold to queue up for a cone, so why not sit down for a sundae? Cabot’s (pictured) in Newton keeps it classic (743 Washington Street, Newton, 617-964-9200, cabots.com). In addition to gargantuan sundaes, they serve breakfast all day and old-timey favorites like the Franks and Beans Plate. Remember to bring cash, though, because classic means no credit cards. The name says it all at Ron’s Gourmet Ice Cream and Twentieth Century Bowling in Hyde Park (1231 Hyde Park Avenue, Hyde Park, 617-364-5274, ronsicecream.com; the Dedham location is closed for the season). Ron and his wife, Pat, serve up award-winning ice cream alongside kid-friendly candlepin bowling. 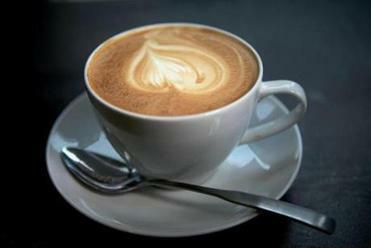 During your vacation, bypass the drive-through and take some time to enjoy a cup of joe at your local coffeehouse. Diesel Cafe in Davis Square (257 Elm Street, Somerville, 617-629-8717, diesel-cafe.com) is known for espresso drinks; schedule some people-watching time while you sip a salted caramel latte. At Equal Exchange Cafe (pictured, 226 Causeway Street, Boston, 617-372-8777, equalexchange.coop), they’re pouring coffee with a conscience. The worker-owned, Massachusetts-based company has been selling fair-trade beans for 25 years, and the knowledge and care taken, including local roasting, shows in the cup. At Mystic Coffee Roaster, the smell of small-batch, store-roasted beans greets you before you even get through the door (30 Riverside Avenue, Medford, 781-391-0042, mysticcoffeeroaster.com). It’s located right around the corner from the Medford location of Modern Pastry (20 Salem Street, Medford, 781-396-3618, modernpastry.com), where you can get a North End cappuccino without the tourists. 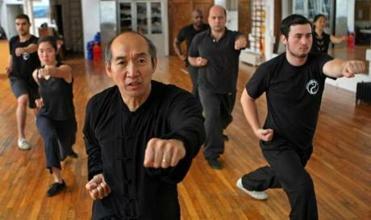 Kung fu master Yao Li (pictured) may have taught celebrities like Gisele Bundchen, Steven Tyler, and David Mamet, but regular civilians, too, can take a class at his Boston Kung Fu Tai Chi Institute (883 Boylston Street, Boston, 617-262-0600, taichi.com). Li teaches kung fu classes at all levels, and is joined by two-time US wushu tai chi champion Joshua Grant. Winter is a great time for photographing nature — just ask Ansel Adams. The Boston Parks and Recreation Department is hosting photography sessions on select Sundays from 11 a.m. to noon through March 23. The classes are free, but you need to bring your own equipment (cityofboston.gov/parks; click on the Pics in the Parks press release for weekly locations). Improve your brush strokes in an art class or brush up on your Italian during the “Summer in Venice” immersion day February 22 at the Cambridge Center for Adult Education (42 Brattle Street, Cambridge, 617-547-6789, ccae.org). If you insist on cooking during your staycation, winter farmers’ markets give locavores the chance to stock up on local greenhouse produce, meat, cheeses, and baked goods. 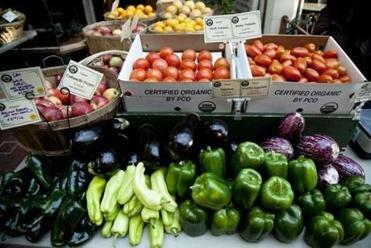 There are 35 winter markets in Massachusetts. Find the closest one to you on the MassGrown website (massnrc.org/farmlocator/map.aspx; under Select Location Type, choose Farmer’s Markets — Winter). Pictured, Brookline Winter Farmer’s Market. Loads of area museums have special February vacation programming. Check your favorite museum’s website to see what it’s got in store — and check our “F is for Freebies” listing to see if any of the suggestions offer complimentary admission at any time during the week. All programs run from February 17 to 21 unless otherwise noted. 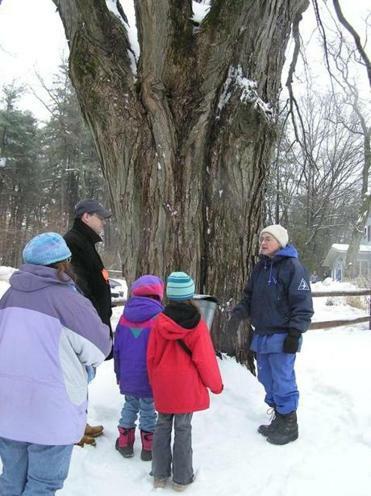 Mass Audubon holds school vacation week activities at more than a dozen of its farms and nature preserves around the state. 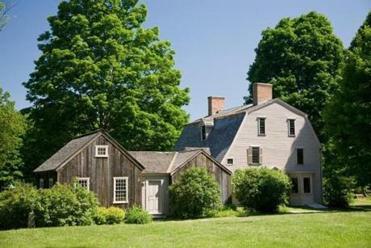 Drumlin Farm (pictured), Blue Hills Trailside Museum, and Habitat Education Center are among the Audubon locations offering daily camps, classes, and activities. Registration is required, so check the website (massaudubon.org/learn/ecokids/vacation-week-programs), organized by properties, for availability. Hollywood is throwing its party of the year on March 2, so why shouldn’t you? Get your friends together to root for “American Hustle”(filmed in various Massachusetts locations and up for Best Picture) or “Captain Phillips”(filmed in Lincoln and Sudbury and also nominated for Best Picture). Visit oscars.org/partykit to download ballots (have prizes ready — people get serious about this) and recipes for cocktails and glamorous finger food. Boston-based chain MiniLuxe (miniluxe.com) lets you book online for pedicures, eyebrow waxing, and other treatments offered at its eight locations. Mass Mobile Massage (617-444-9019, mamobilemassage.com) is exactly what it sounds like; the service will send a licensed and insured massage therapist right to your doorstep for treatments ranging from Swedish to shiatsu. If you love it, ask about memberships and packages. In the South End, Brad Duncan (530 Tremont Street, Boston, 617-482-1700, bradduncanskincare.com) offers facials that have been praised in Allure magazine and elsewhere. > Eat at Legal Sea Foods (legalseafoods.com). > Visit the observatory in the Prudential Building (skywalkboston.com). 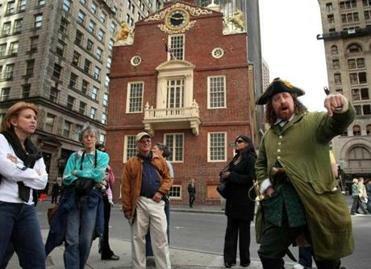 > Walk the Freedom Trail (pictured, thefreedomtrail.org). > Shop at Faneuil Hall (faneuilhallmarketplace.com). > Get stuck in traffic. Mark your calendars. What used to be called Restaurant Week is now known as DineOut Boston (dineoutboston.org), and it actually runs during two weeks: March 16-21 and 23-28. If you can’t wait that long, make your own restaurant week with prix fixe menus available throughout the city. No. 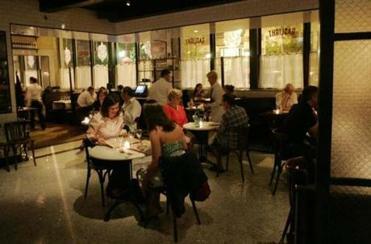 9 Park, overlooking Boston Common, serves a three-course prix fixe for $69 (9 Park Street, Boston, 617-742-9991, no9park.com). Gaslight Brasserie du Coin (pictured, 560 Harrison Avenue, Boston, 617-422-0224, gaslight560.com) offers both a prix fixe weekend brunch ($9.95 per person) and daily prix fixe dinner ($29.95 per person). And Craigie on Main (853 Main Street, Cambridge, 617-497-5511, craigieonmain.com) has two tasting menus: the six-course Craigie Experience for $98 per person and the eight-course Ultimate Craigie Experience for $118 per person. 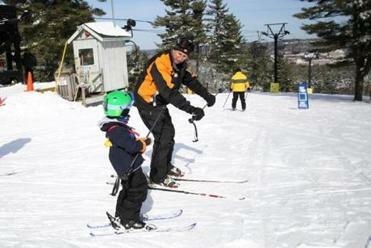 Skiers take note: On February 27, in honor of its 50th season, Nashoba Valley Ski Area in Westford (pictured, 79 Powers Road, Westford, 978-692-3033, skinashoba.com) is holding “Throwback Pricing Day,” when you’ll be able to buy lift tickets for their original 1964 price of $2.50. Check the website for a full list of anniversary events. Nothing beats the rush of a good run down the hill — the sledding hill, that is. Plenty of neighborhoods have at least one famed sledding location, but Brookline is home to three of the top spots: Larz Anderson Park, Corey Hill Park, and Amory Playground (brooklinema.gov/parks; select The Parks & Open Space System and click on Properties by Name). The state’s website maintains a list of ice skating rinks (mass.gov/eea/agencies/dcr/massparks/recreational-activities/ice-skating.html), with information about when each is open for public skating and contact numbers — call ahead, since hours can change. Successful thrift shopping takes time, which can be in short supply when you’re caught in the 9-to-5 routine. Spend a leisurely staycation afternoon combing the local consignment shops for the perfect vintage dress to wear to your cousin’s wedding or that Prada bag you’ve always dreamed of. With an abundance of resale stores, Davis Square in Somerville packs a lot of thrift into one place. Buffalo Exchange (238 Elm Street, 617-629-5383, buffaloexchange.com; there’s a location in Allston, too) and Found (255 Elm Street, 617-764-3131, foundsomerville.com) both have an easy-to-shop boutique feel. But expert thrifters know that the epic Goodwill Store down the street (pictured, 230 Elm Street, 617-628-3618, goodwillmass.org) is the place to haul in big bags of gently used goods. Move on to Global Thrift Store in Waltham (322 Moody Street, Waltham, 781-891-5577, walthamglobalthrift.com), where hand-lettered signs direct you to treasure troves of pre-owned jeans, coats, and more. If you’re looking to make space for your new duds, all of these locations accept donations or items for consignment. During your staycation, give yourself permission to do something relaxing — or nothing at all. Is your reading list a little out of date? Goodreads recently announced its latest reader-selected Choice Awards (goodreads.com/choiceawards). Topping the horror list is Doctor Sleep, a sequel to Stephen King’s 1976 novel The Shining. Best in the romance category was Massachusetts native J.R. Ward’s latest vampire novel, Lover at Last. Before you throw that Academy Awards bash (see “O is for Oscar party”), you should catch up on your movie watching. Amazon Prime, iTunes, Netflix, and other services let you stream movies right to your TV. If you’re out and about, Redbox (redbox.com/locations) has approximately 585 locations in Massachusetts. 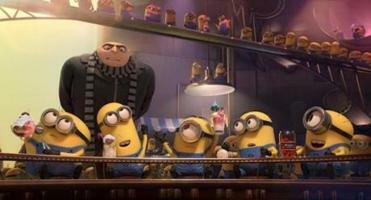 According to the company’s most recent rental figures, in the Bay State we’re especially fond of “Last Vegas”, “Captain Phillips”, “Bad Grandpa”, “Despicable Me 2” (pictured), “Don Jon”, and “Blue Jasmine”. Balance out your indulgences with a little giving back. Connect & Serve (volunteer.truist.com/mass-service/volunteer) sorts opportunities by location, date, or type of activity. It’s maintained by the Massachusetts Service Alliance, a private, nonprofit organization that acts as the state commission on service and volunteerism. If you move quickly, you can catch the second day of the annual Boston Wine Expo February 16 at the Seaport World Trade Center (wine-expos.com/boston). At the Grand Tasting, exhibitors will pour 1,800 different wines while star local chefs Michael Leviton (Lumiere, Area Four, A4 Pizza) and Jody Adams (Rialto) demonstrate recipes. Day-of tickets are available at the World Trade Center. And pretty much every weekend, local liquor stores abound with opportunities for tasting wine without opening your wallet. For example, The Wine Bottega in the North End (341 Hanover Street, Boston, 617-227-6607, thewinebottega.com) holds free tastings every Friday from 5 to 8 p.m.; Boston Wine Exchange in the Financial District (181 Devonshire Street, Boston, 617-422-0100, bostonwineexchange.com) offers tastings on Friday evenings from 5 to 7. Book a Boston City Wine Tour (citywinetours.com) in one of four neighborhoods, including the South End and North End. It’s not surprising that Massachusetts, with 192 miles of coastline, is the rumored site of several pirate-treasure stashes. A natural cave in Lynn Woods (flw.org), known as Dungeon Rock, supposedly holds the riches of pirate Thomas Veal, who lived — and died — there with the loot. The tunnel is open to treasure hunters most Tuesdays through Saturdays from 9 a.m. to 2:30 p.m. The reservation also has 30 miles of trails and seasonal events posted at the two entrance gates. 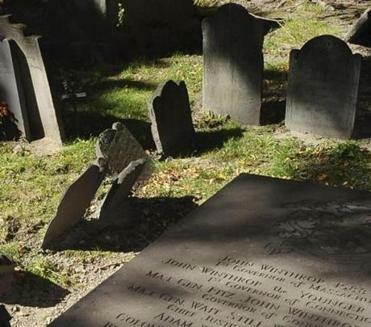 Stop by the King’s Chapel Burying Ground (pictured, corner of Tremont and School streets, Boston) and you can see, among other famous graves, the final resting place of John Winthrop, who helped found the Massachusetts Bay Colony and served as governor during the “golden age of piracy” (mid-17th century) in New England. Dust off those board games and bring on the fun. Or, if you’re bored with the old standards, head to The Games People Play in Cambridge (1100 Massachusetts Avenue, Cambridge, 617-492-0711, thegamespeopleplaycambridge.com) to peruse the wide selection of newer games. Owner Carol Monica recommends the wildly popular Settlers of Catan, in which players vie for natural-resource supremacy, and Ticket to Ride, where players can build railway routes between North American cities — including Boston, of course. Serious players should check out the Cambridge Center for Adult Education (ccae.org), which offers classes in games such as chess and bridge. Warm up with Franklin Park Zoo’s “Travel to the Tropics” program, which features crafts, story times, and special opportunities to meet the zookeepers (zoonewengland.org/franklinparkzoo). The Stone Zoo’s vacation programming offers special zookeeper and animal encounters daily in Stoneham (zoonewengland.org/stonezoo). 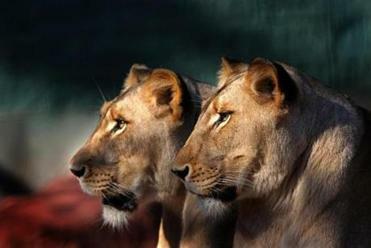 Not far from the Wrentham Village Premium Outlets, Capron Park Zoo in Attleboro (capronparkzoo.com) is small but worth a visit with exotic creatures like an emu and African lions. And you can’t beat the price: Admission is only $7 for adults and $5.50 for kids. The best deal of all may be the $55 annual family membership that includes free or discounted admission to four zoos and museums in Massachusetts and more than 100 institutions nationwide. Correction: A previous version of this story incorrectly identified the time period of John Winthrop’s governorship.